It’s that time again folks! Festival season is making it’s way in and we are all just about ready for it. The OC’s Observatory Grounds is kicking off the season with yet another epic lineup. With the announcement of Soulquarius a few months ago the venue is currently leading the festival clan. They’ve since announced the official roster for the upcoming When We Were Young Festival. 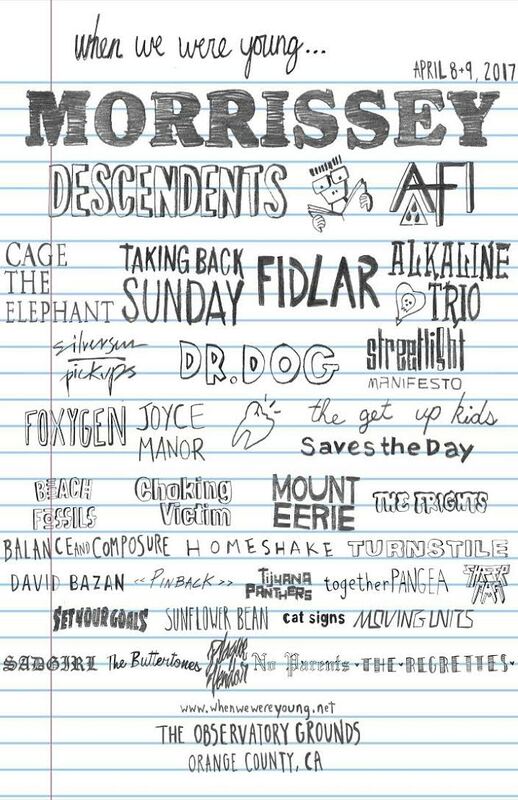 English singer Morrissey will be joined by Descendents, AFI, Cage The Elephant, Taking Back Sunday, Fidlar, Alkaline Trio, Dr. Dog, and many more. Tickets go on-sale Friday, February 10th, @ 10 am PST. MULA GANG - "Flip It"